Surrounded by several of North Fresno's most notable destinations, Courtyard Fresno makes your travels more simple and stress-free than ever before. Within just a few miles of our doorsteps, you'll find such prominent locales as River Park, the Tower District and California State University, Fresno. If exploring the city isn't on your agenda, stop by The Bistro, our on-site restaurant, for a mouthwatering selection of meals and refreshments, including an evening bar. Work off those calories in our fitness center or outdoor pool. When you need a moment to yourself, there's no better feeling than withdrawing into the warm comfort of our spacious accommodations. Featuring thoughtful amenities, such as complimentary Wi-Fi access, mini-refrigerators and pillowtop mattresses, you're sure to feel right at home. Upgrade to a suite for additional convenience and privacy with a completely separate living area. 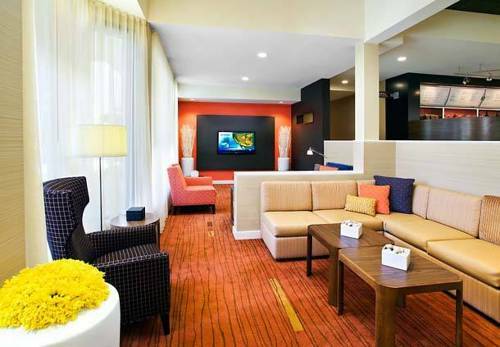 No matter the reason for your trip, allow Courtyard Fresno to provide an experience you won't soon forget. The Bistro - Eat. Drink. Connect. : Enjoy a Fresno restaurant with refreshing breakfast choices in the morning and a variety of dinner and cocktail options in the evening. The Bistro also offers specialty beverages made with Starbucks coffee to help you get a jump on the day.